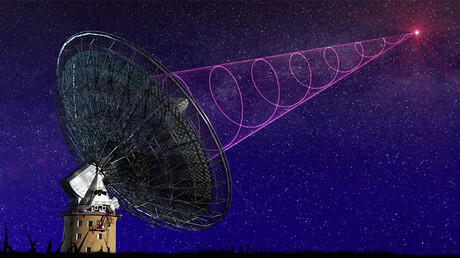 For the first time, scientists have successfully traced mysterious “fast radio bursts” (FRBs), which have been speculated to be signs of extraterrestrial intelligence, to a galaxy six billion light years away. Just 17 such radio blasts have been recorded since 2007 when they were first discovered. Each one came from space and lasted a few milliseconds at the most, emitting as much energy as the Sun in about 10,000 years. Scientists are not sure what causes these bursts. The first step in establishing their origin was to estimate the distance to the object where it originated. Astronomer Evan Keane from the UK’s Jodrell Bank Observatory, who led the scientific team that published the new findings in the journal Nature, was able to record one of the most recent radio burst called FRB 150418 on April 18, 2015 with the help of the Parkes radio telescope in Australia. It lasted less than one millisecond, the shortest of them all. The process of pinpointing its location was long. First Australia’s telescope located the radio afterglow in space and then a second 8.2-meter-long telescope in Hawaii, known as the Subaru Telescope, helped trace the origin of the wave to an elliptical galaxy, which is an off-spherical concentration of stars believed to be relatively old. 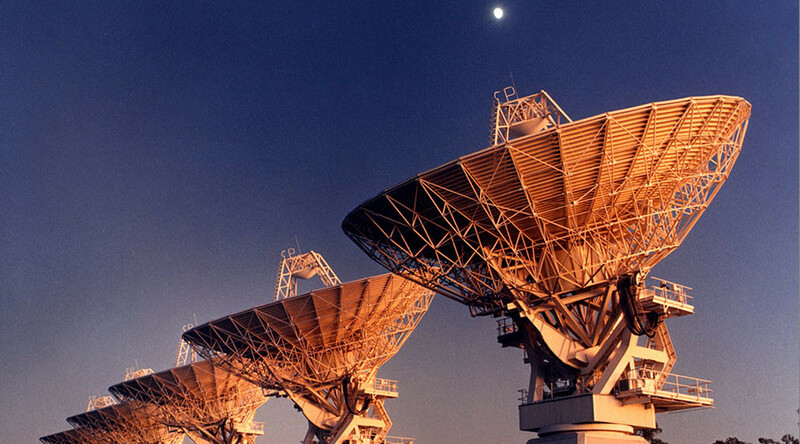 Some have speculated that the bursts could be a signal sent by extraterrestrial intelligence. “Nope! Sorry,” Keane said in response to this theory, as quoted by AFP. The radio waves most likely originate from two colliding neutron stars, which at some point were orbiting each other before merging, according to Keane. Due to the composition of the galaxy, it is more likely that a collision of two dead stars caused the radio bursts, rather than the explosion of a supernova, astronomers say. Keane is now working with his team to determine how much material the radio wave passed through before being recorded on Earth. According to the astronomer, this could answer some of the biggest scientific mysteries, such as the measurements of the cosmic microwave background. Scientists plan to use such radio bursts in the future to create a map that could help detail the magnetic fields between various galaxies and determine what type of matter exists in space. 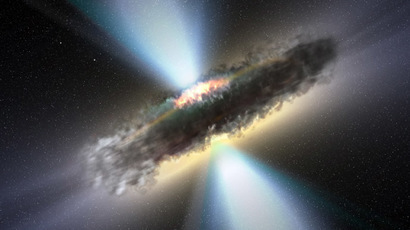 The discovery might also shed some light on the “missing matter question” question. Scientists believe that the universe consists of 70 percent dark energy, 25 percent undetermined dark matter, and around five percent ordinary matter or, more specifically, what planets and stars are made of.